because I think it might make a rather dashing Christmas tree. 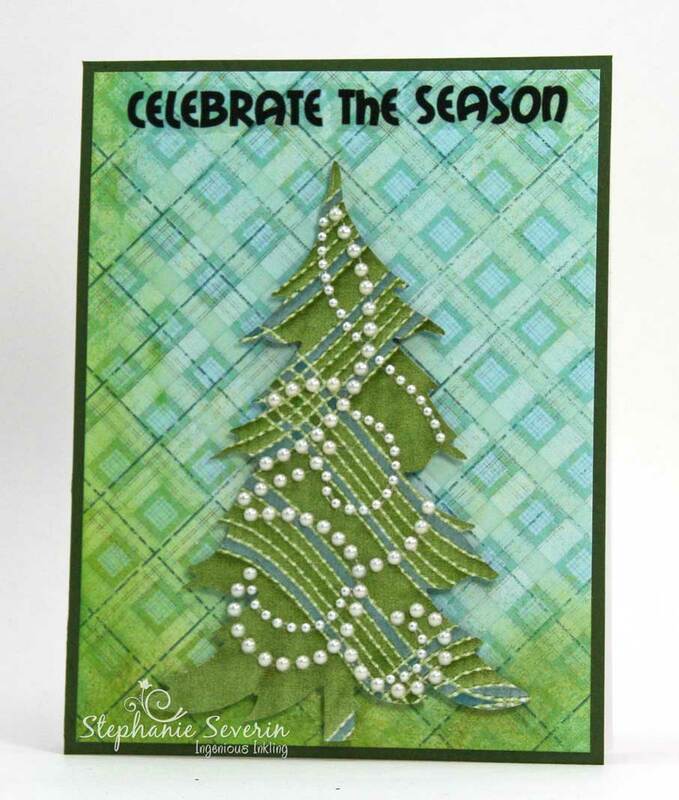 holiday tree ... especially adorned with pearl flourishes." 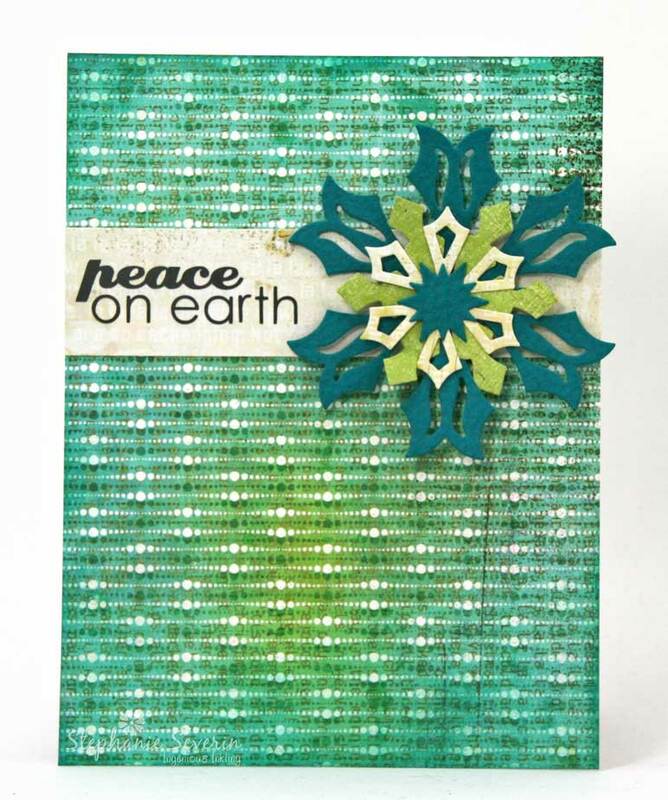 Lauren says, "the good news: i have TWO cards completed for this idea, and they each use TWO recycled bits--the woodgrain giftwrap and some genuine denim from a discarded pair of jeans, which i xyroned on to cardstock and diecut. the bad news: i'm not all that keen on either of these, and not just because i accidentally turned the frame the wrong way on the left hand one and the text is upside down on the right (DUH! 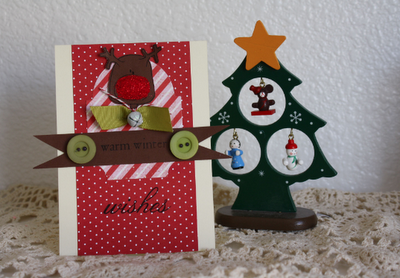 ); but my FAVORITE thing about making one holiday card per week is that i know i've still got a lot more chances to try out new ideas. 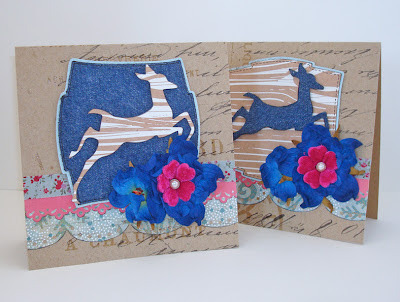 some weeks i'll love the finished product, and other weeks i'll settle for loving the things i learned--in this case that a sizzix die will cut cardstock-backed denim like butter, whereas a nestie needs multiple passes and an assist from the scissors; that woodgrain paper makes for an AWESOME reindeer; and that--IMO-- denim blue, cerise and kraft look pretty darned fab together!" you still have nearly another week in which to wow us with your re-cycling, upcycling, and re-purposing skills! scroll down to the main post to link up your masterpiece(s)! if you played along with us in 2011, you've probably already guessed what we're doing this week, haven't you? yes indeed, in honor of this sunday being EARTH DAY, we're "recycling" one of our favorite prompts from last year, and asking you to create a holiday card which re-uses, re-purposes, re-cycles, up-cycles, or in some way "rescues" a bit of... well, SOMETHING... which you'd've either thrown away, or perhaps just overlooked in terms of card-making? this can be as simple as just gathering up all those scraps from your last project and using them instead of tossing them away; grabbing a bit of the pretty packaging craft manufacturers seem to be sending our way lately; or maybe you'll employ a bit of ribbon saved from a gift you received, or a pretty image from a magazine or advert? if you need some inspiration this thread in the two peas gallery has some clever (and beautiful) ideas to get you going; this page at squidoo has loads of fun options; and of course martha has some VERY elegant thoughts on the matter! and then there's our own lovely BELLES' efforts from last year, which are hard to beat in terms of crafty creativity! 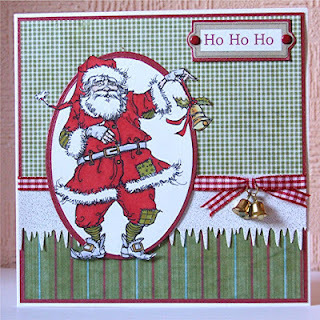 in all it's krafty goodness (thanks Lauren). I decided it was the perfect recycled backdrop for my Gothic Snow Couple." Lauren says, "i save gift wrap, too; also any pretty store-bought xmas cards i'm sent, so i knew i wanted to punch and re-use an image of the earth i remembered from last christmas; i also wanted to re-use this technique from the pixie dust paperie blog, for making die-cut chipboard alphabets with re-cycled cardboard (the "peace" letters are made from a 100 calorie pack cookie box! 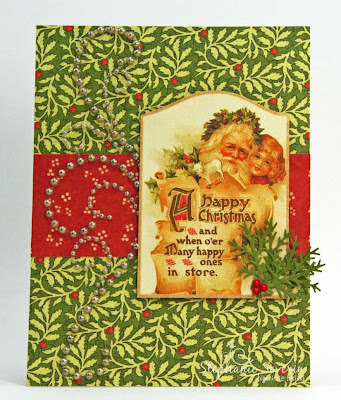 ); plus the green panel of my card is from some florals that i'd saved. 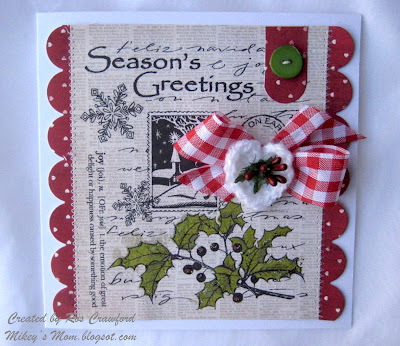 i serendipitously found kimber mcgray's cardmaking sketch challenge just as I was playing around with my chosen elements. of course, the irony is that after two failed attempts at minimalism during our awesome sketch prompt last fortnight, i guess amy's and stef's lovely examples FINALLY rubbed off on me... in a TIMED RELEASE sort of way!" 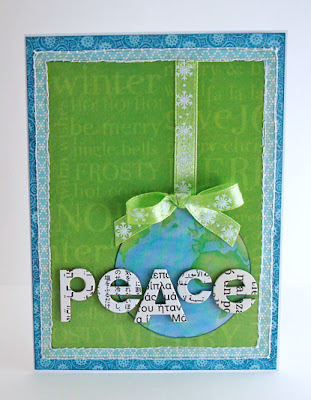 so now it's time to see what ♥YOU♥ will do, in the interests of PEACE ON EARTH(DAY)! sort through your holiday supplies, your treasured scraps, and maybe even your waste paper basket??! then come along and link up with us between now and 6pm (EST) on wednesday, may 2nd. keyword for galleries and the flickr group is JB12-09. ... but so much sketchy goodness with Amy T's fabulous design. A HUGE Jingle Belles thank you to Amy for joining us for this prompt. Here are a few sketchy cards that really caught our eye. 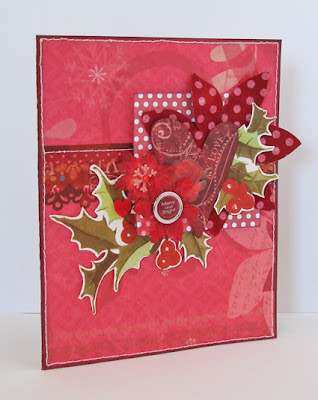 jingle bells ... love the unexpected holiday hues too. translated the sketch into this pretty little tag. E-mail us your mailing address & we'll get your goodies in the mail. And check back at midnight for another fun holiday prompt. ...the sketch cards were stirring ... full of holiday cheer. 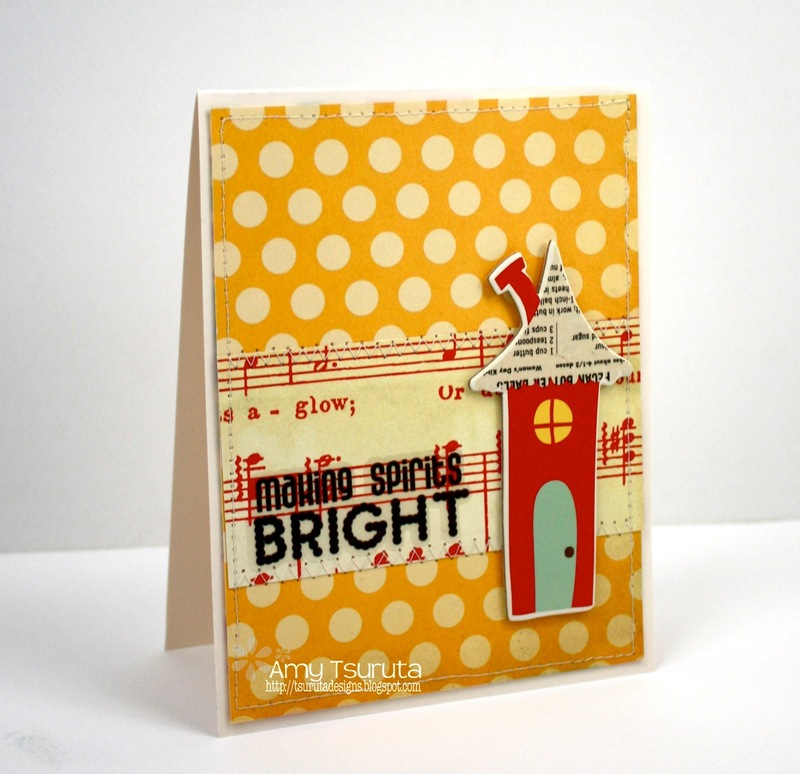 We are really enjoying the variety of sketch designs so far ... Amy's amazing layout provides so many possibilities. 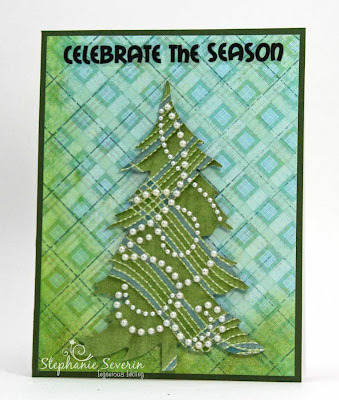 Stephanie says, "I dream of creating cards like Lauren, but when I start piling on lots of bits & bobs, I seem to end-up more of a mess than her amazing collage art magic ... so, I went minimalist again. 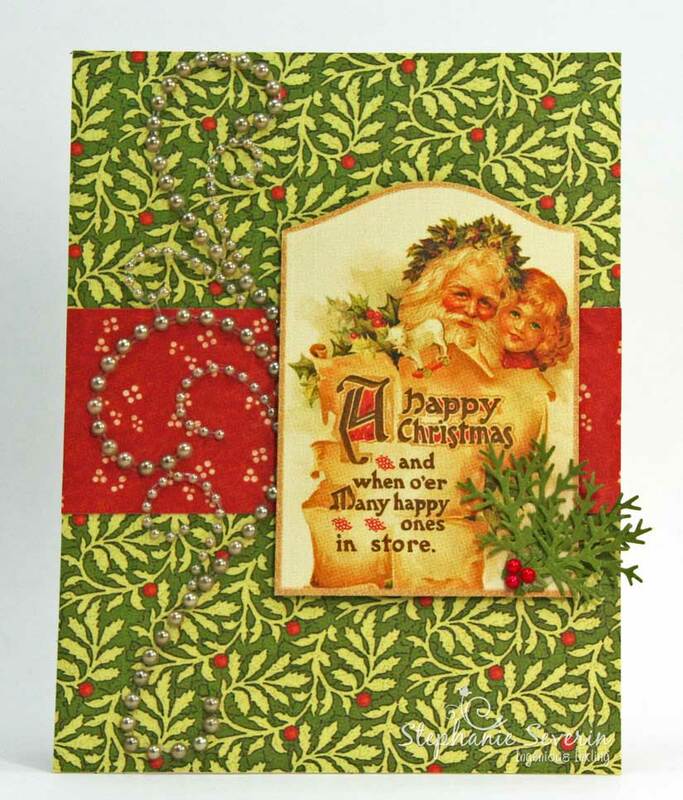 I did add a champagne pearl flourish, as well as a few punched branches & red pearl *berries* (to coordinate with the background paper), but otherwise it's pure Graphic45 Christmas Past." So whether you're more comfortable as a *maximalist* or a *minimalist* or somwhere in between ... create your sketch card & upload by 6pm (EST) on Wednesday April 18th ... remember, there might even be a fun little surprise for one lucky participant. and all through the house ... not a creature stirring ... except our talented Lovely Guest Star and fellow Jingle Belle Amy Tsuruta. Hey, it's Amy, and I'm a huge fan of Jingle Belles. I was super-thrilled to be asked to be a guestie and to create a sketch! 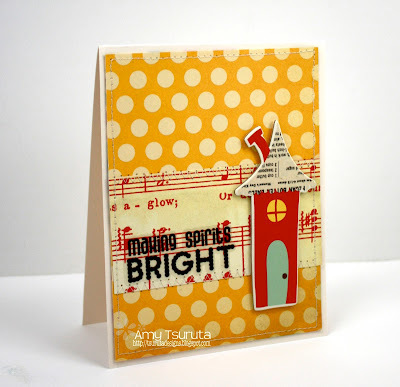 Those that know me, know that I love a sketch challenge! Amy has her own fabulous blog Tsuruta Designs, as well as the super-fun Flashback Friday Blog (the current challenge is to re-post your very first die cut card ... check it out). She also contributes her rockin' design skills to EAD Designs, Paper Issues, LESSology, and The Craft's Meow. 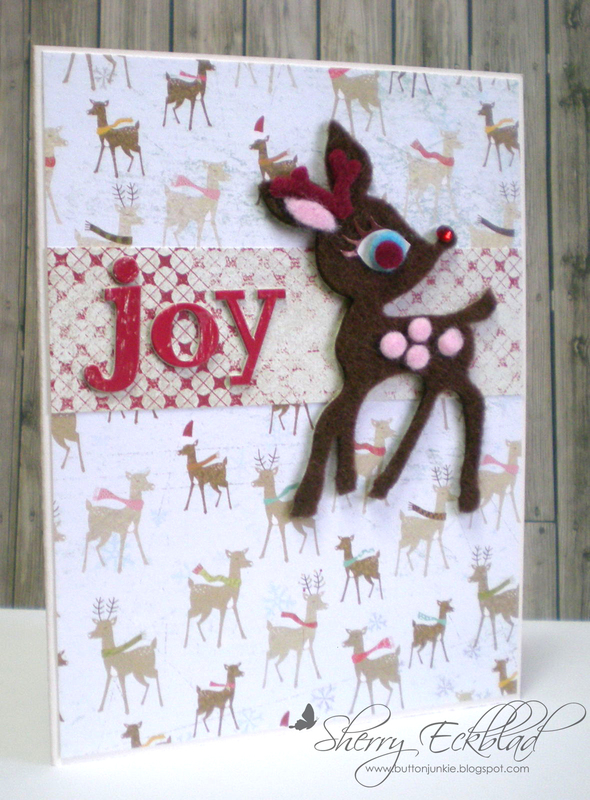 but that's what I love about creating ... keeping it fresh & fun." 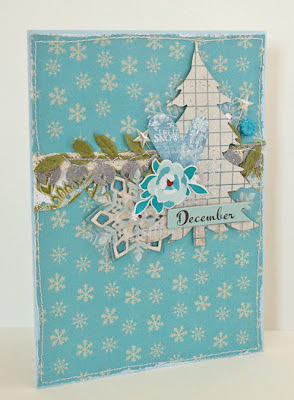 layered snowflake die cuts and an EAD Designs rub-on." 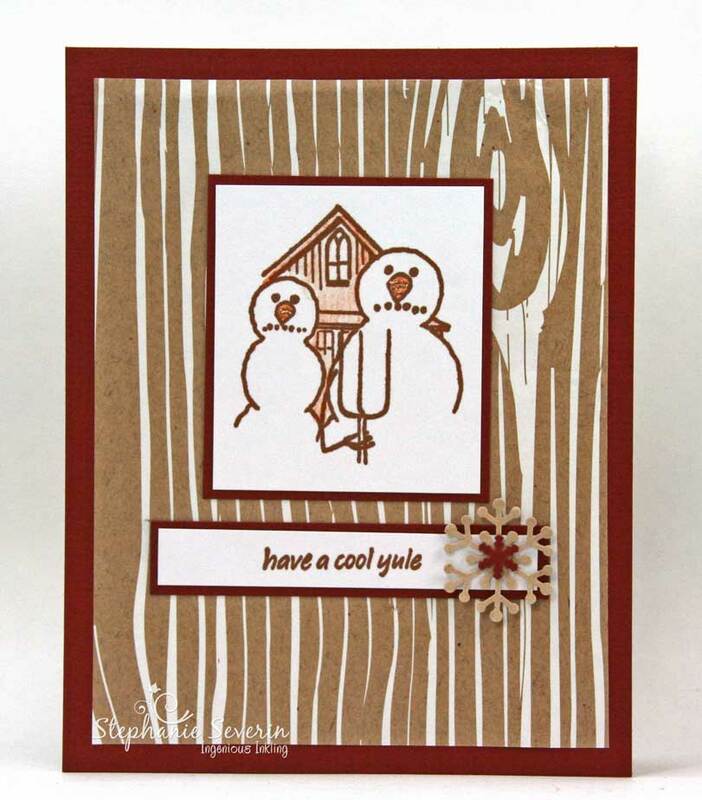 Lauren says, "i've got traditional colors, vintage holly, lots of fun embellies... and the sketch is in there, honestly, lol!!! i think my distinctly *MAXIMALIST* take on amy's gorgeous minimalist sketch shows how flexible these things really are; i absolutely ♥LOVE♥ seeing how very differently each cardmaker interprets the same 'road map'!" Hopefully these three different versions of Amy's wonderful sketch have inspired you to create your own sketchy masterpiece. You've got until 6pm (EST) on Wednesday April 18th to link-up below (you never know, there might even be a fun little surprise for one lucky participant). Keyword for galleries or our Flickr Group is JB12-08. Have fun! printed this adorable reindeer digi onto brown paper and added lots of luscious red glitter to make him literally "shine" as the star of this bold and graphic holiday greeting! 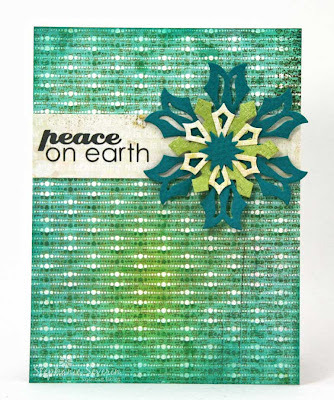 layered a digital stamp onto a digital paper, printed and colored the result, and then combined it with gorgeous textural elements for even more interest and appeal! made *TWO* completely different, but equally lovely cards, so we were spoilt for choice since both used adorable digi-stamps AND the perfect combination of "real world" supplies! and we'll tell you how to claim that awesome prize!! !